When we decided earlier this year not to take the boat out of storage, the kiddos were disappointed about missing out on our family’s fun fishing trips. They were quickly appeased by the news that they would instead be able to do some fishing on our camping trips this summer. The only problem was that I didn’t have a really secure place to store the poles during our travels. 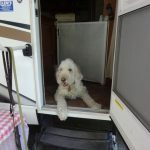 On our first trip of the summer they were just stashed along the side of the storage compartment and, unfortunately, one pole ended up with a broken eye. 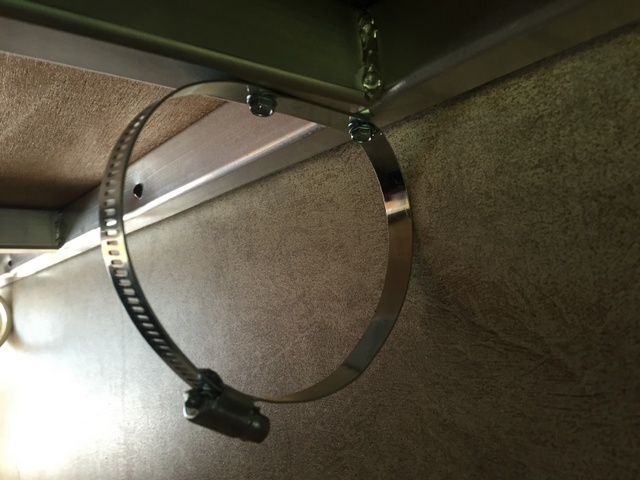 So before we left for our second trip of the summer I decided it was time to find a better space saving strategy and create a camper fishing pole holder. 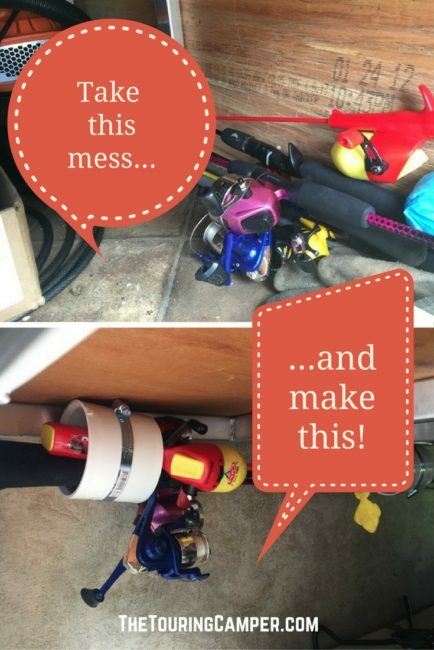 Step 1: Determine how long your fishing poles are and find a location in the top of a storage compartment where they will be “out of the way.” You will be anchoring the three pipes in a row approximately the length of your rods. 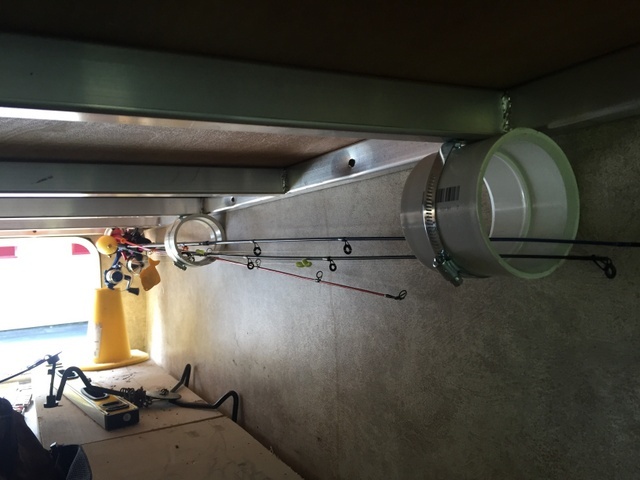 Be sure to pick a location where it will be easy to get the poles in and out of the compartment. 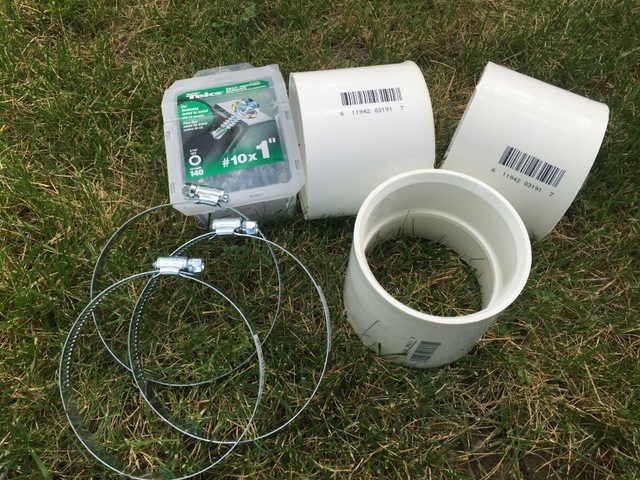 I put them over my hitching supplies and grill (stuff that I can’t stack) so that there is less likelihood that something will fall or slide during transport and hit the pole holder. 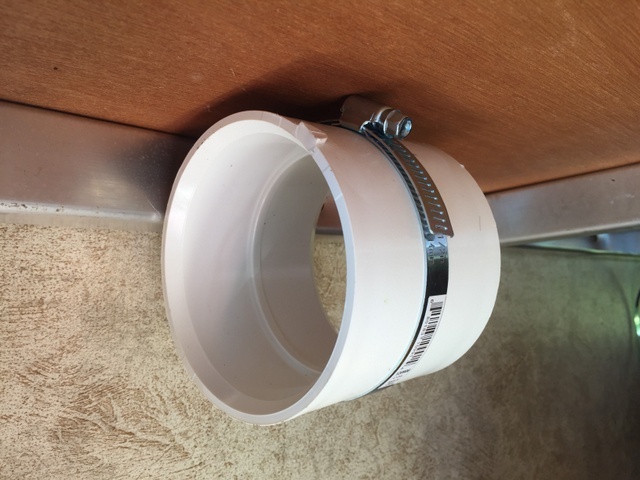 Additionally, I arranged the holders so the tips of the rods go through two PVC holders and then the handle area of the rod (below the reel) sits in the third PVC pipe right next to the sidewall of the camper. (Important note: I positioned it this way because the sidewall helps hold the rods in the pipe holder amid all the bumping and jostling as we are driving down the road.) To remove the rods, I have to slide them forward a bit so that the handles are free from the pipe and then angle them out of the other two pipes. 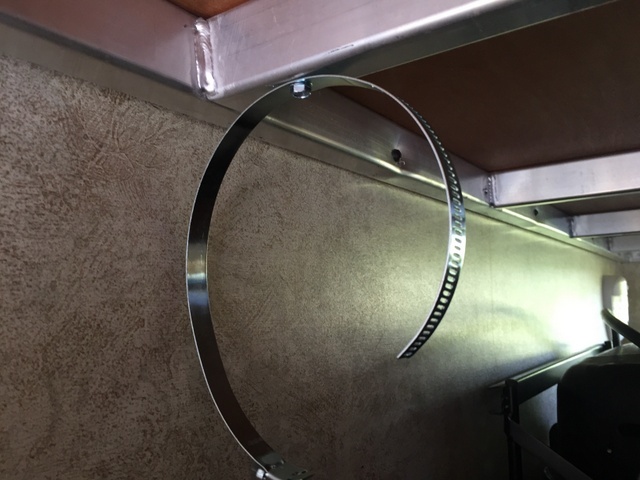 Step 2: Pre-drill small holes in the dryer vent pipe clamps about 2-3″ from where the end of the tightening slots are, then use the self-tapping screws to attach the clamps to the camper frame (see picture). 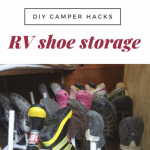 I had to use two screws for each to make it secure, but each camper will be different so you may only need one. I also found it was easier to attach the clamp to the frame by unthreading it. Step 4: If needed, rethread the clamps and start to tighten them up. 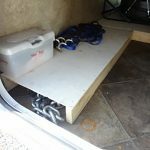 Insert the PVC pipe and finish tightening the clamps down securely around the pipe. Repeat the process for the second and third pipe, remembering to position them so they are all in line with each other. And that’s it! 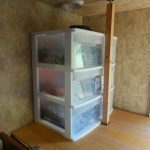 This little camper modification was a really quick storage solution (it took me about 30 minutes), and it only cost about $20 to provide a safe place to keep the fishing rods. And I can confirm that it worked great this summer! 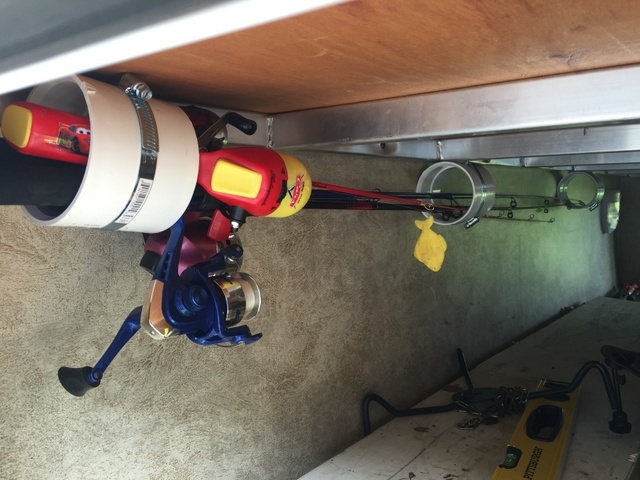 So what do you think: Would this camper fishing rod holder work for you? 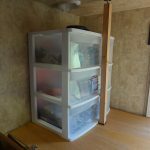 How do you store your fishing poles when you go camping?